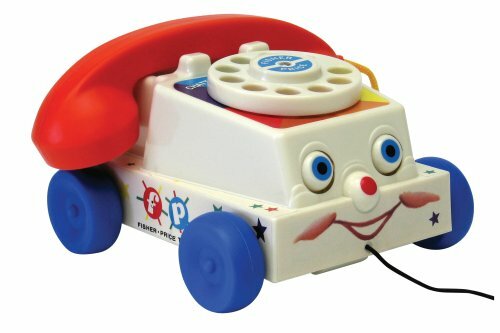 Introduced in 1961, The Chatter Telephone was the ultimate pretend play toy with its ringing rotary dial and its friendly interactive design. Since then, technology has changed quite a bit, but the Chatter Telephone makes children smile just the same way. With eyes that roll up and down, a mouth that chatters, and a dial that rings, this friendly phone is ready for a whole new generation of children to enjoy.